Another excellent CE-150 Workshop was convened this past Tuesday in the District Boardroom by Evan Oxner (Amherst). 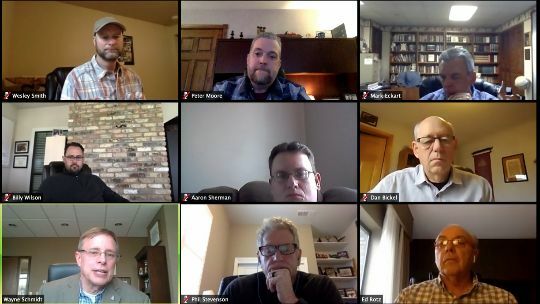 All Lead Pastors of churches with 50-150 in attendance were invited to participate and more than half showed up or tuned in by Zoom to address topics of contextual effectiveness. 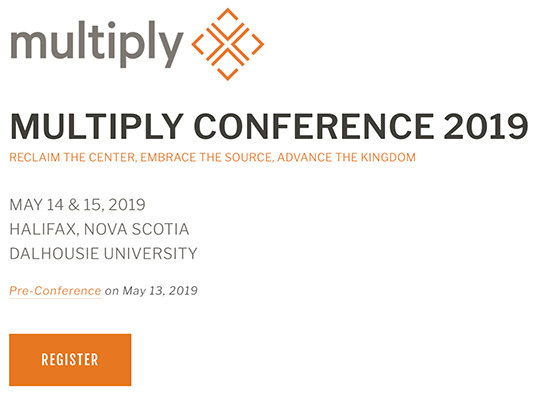 This mixed-medium allowed for those from St. John’s to the NS South Shore to Northern NB to connect without the expense or time of travel and still provided helpful synergy through group interaction. 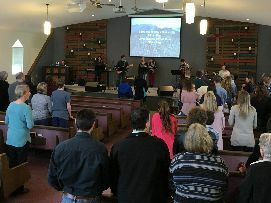 Stuart Marples (Solid Rock) held its first Consecration Sunday yesterday which is a multiple week program that focuses on discipleship through giving. Approximately 45% of regular supporters present indicated God had led them to increase their giving for the coming year. The commitment cards received projected an increase of 20% in the church budget for the coming fiscal year. 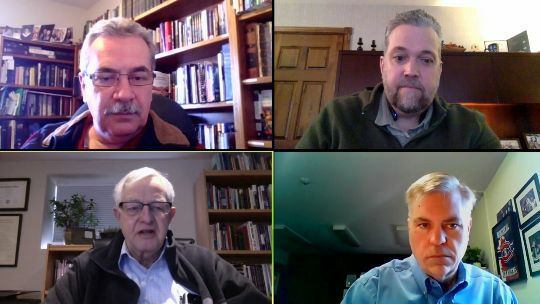 It is always one of the highlights of my month to participate in one of the three Zoom meetings our General Superintendent offers to District Superintendents. 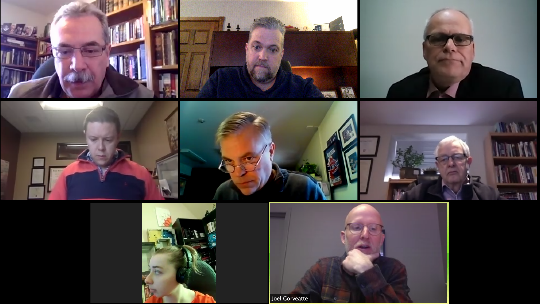 The meeting this week included exciting updates about the partnership of The Wesleyan Church with Exponential. 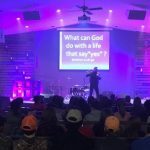 Deep Water (AJ Thomas) celebrated 18 decisions for Christ yesterday (PTL!) 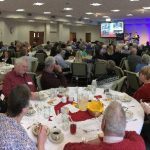 with 640 in attendance. John den Hollander co-led a full regimental line of duty death funeral last week for a 28-year-old firefighter from Truro. John lifted up Jesus with passion in front of hundreds of firefighters and first responders from all across Canada and thousands of people in a very difficult and public funeral. 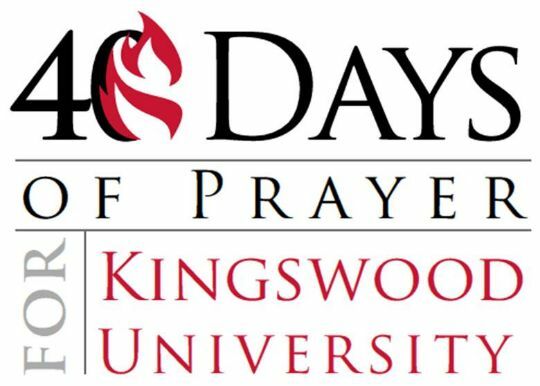 We are blessed by those who serve with great effectiveness as salt and light in chaplaincy ministry. Aaron Reimer (Island) celebrated three baptisms yesterday, including he and Vanessa’s son Dune (not pictured above). It is an incredible joy for any minister to lead their own children into the waters of baptism! Kathy Jeffries (Head of Millstream) was appointed this week as the Family Program Director for Beulah Family Camp (July 5-14). Another anointed and spiritually challenging week of services, family programming and Christian fellowship awaits! 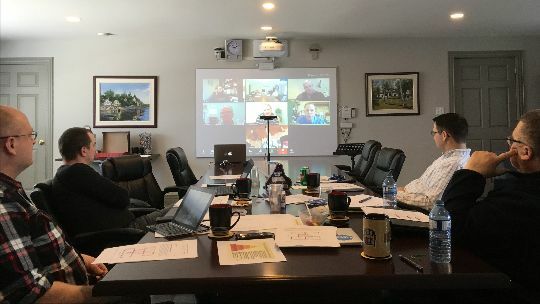 NS Stephen Elliott convened a joint-district task force in our continued work to prepare information and recommendations for local church ministry in facing some of the difficult challenges of the changing landscape of our culture and religious liberties. Stay tuned for this report in the coming months. Please be in prayer for Nick Wilson (Beals) as he is scheduled for foot surgery tomorrow. 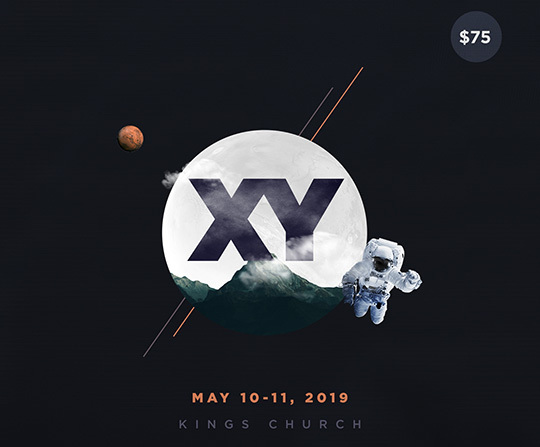 Graham Perry (SJ1) is experiencing tremendous participation in the second Alpha Course they have offered this year with 90-110 in attendance weekly. The Maximizing Impact Team (Graham Perry, AJ Plaizier, & Steve Sinclair) spent the weekend on Maple Ridge with Mike Agrell and his team. 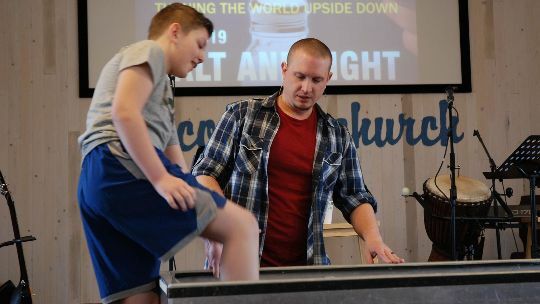 The Ridge Church has a strong pastoral team in Mike Agrell and Ryan Genereaux. The church is blessed with some incredible volunteers and there was a hunger to discover what God has next for The Ridge. This past week included the monthly Council of Superintendents which is chaired by our National Superintendent. 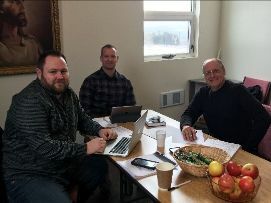 Eric Hallett (lower right) is the sole nominee slated for election on June 21st to succeed Peter Rigby (lower left) as DS of the Central Canada District. So grateful for the Kingdom synergy of these servants. THE GATHERING RESOURCES are online and include full videos of General Sessions and all Seminars. We thank God for being in a denomination which cares so deeply about investing in our leadership. Thank you Executive Director Russ Gunsalus and the Division of Education & Clergy Development. 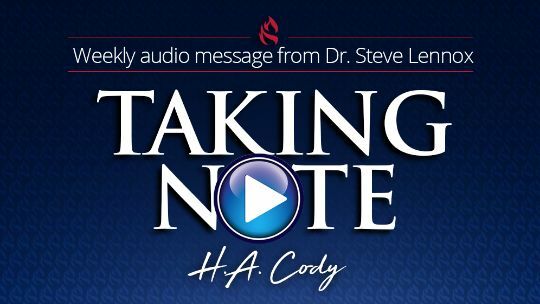 As demonstrated by the note above received this week, we are blessed by the diligence and care of our denominational leaders who not only seek to resource front line ministry, but who also take time to wield the weapon of prayer on our behalf. 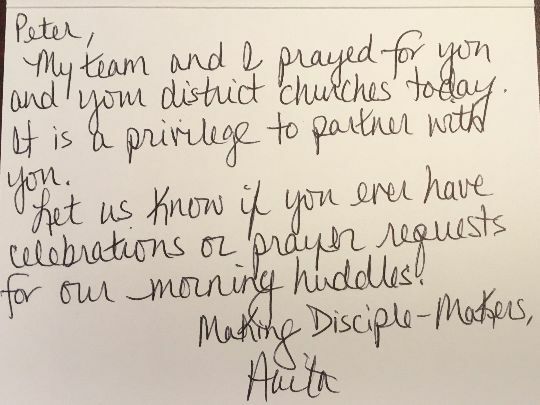 Thank you Executive Director Anita Eastlack and the Division of Church Multiplication & Discipleship. 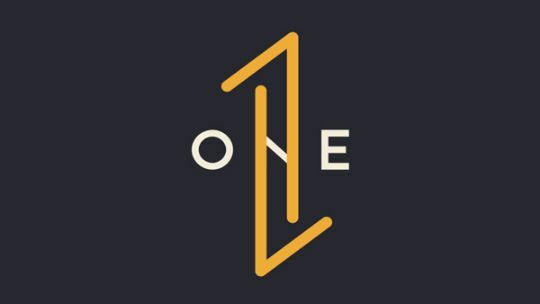 Cornerstone (Denn Guptill) announced this week that Rob McDowell will be joining the pastoral team this summer as the Campus Pastor for the Cornerstone Windgate satellite they will be launching in Sackville in 2020. Last Monday evening, the Kings Board of Directors (LBA) unanimously renewed the extended call of Senior Pastor Brent Ingersoll. 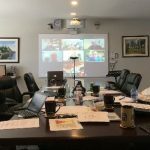 One item in the board materials was a document with prayer requests from each staff member – a great idea worthy of consideration to empower spiritual leadership to bear one another’s burdens. 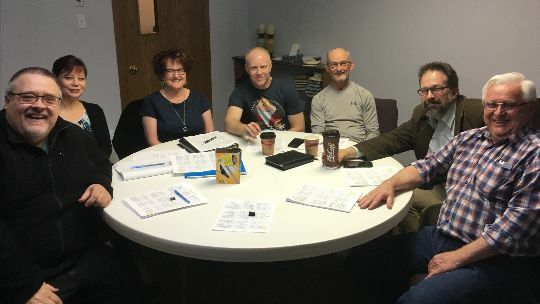 On Thursday evening, the Hartland LBA (pictured above) unanimously renewed the extended all of Lead Pastor Dave Wilcox. 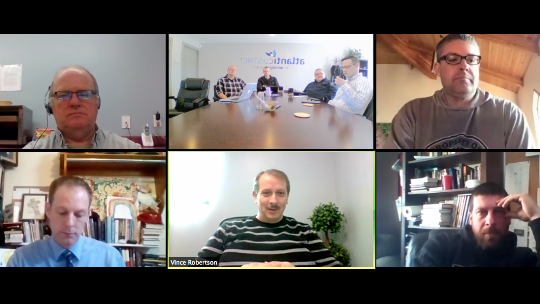 This was the final pastoral review of 20 I have had the privilege of conducting (two virtual) since mid-January. 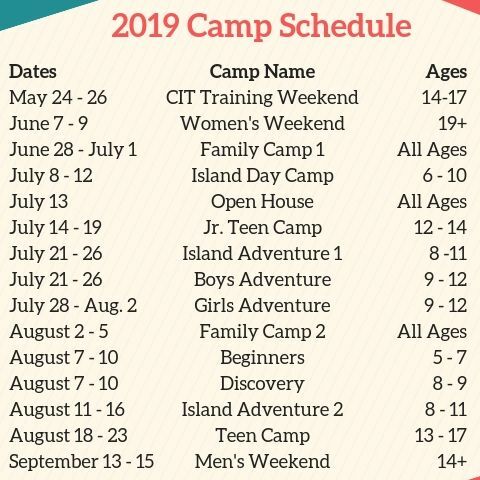 Information and online registration are now available for the first National Conference of TWCC to be convened just south of Montreal on August 14-15, 2019.